When looking at modern news and social media, it is clear that Donald Trump’s election as President of the United States of America has been controversial. Ultimately, his rhetoric and conduct during his campaign have paved the way for far-right political leaders to adopt publicly outspoken and unapologetic styles of leadership. This campaign model is reflected in Brazil’s recent president-elect Jair Bolsonaro, who has become infamously nicknamed the “Trump of the Tropics”. With the Brazilian public tired of deeply-rooted poverty, economic, and political turmoil, Bolsonaro’s bold claims and promises of improving the Brazilian economy and his claims to address corruption and crime with an iron fist has resulted in his shocking victory, claiming 55 percent of the vote. Bolsonaro’s successful election campaign has highlighted the current and pressing issues of the rise and emergence of sensationalism, blatant discrimination without consequence. Despite his lead during the presidential race, his controversial statements have greatly divided Brazil’s politics, facilitating fear and hate. As a result, one citizen went to the extreme by stabbing Bolsonaro at one of his campaign rallies in September. Although this incident left him in a critical state, it is clear that the action has turned Bolsonaro into a martyr, bolstering support for his hard stance against violence. This ultimately helped him garner votes. Bolsonaro’s campaign policies advertised a major economic reform. These included promises to implement “privatization, pension reform, and [lower] taxes”. This gained him votes within the business community. However, Bolsonaro’s primary concern is addressing crime, corruption and violence. His campaign highlighted his hard stance against said issues. Coincidentally, his connections within Brazil’s military lent credibility to his claims that he would lower crime if elected. This focus on crime, corruption, and violence allow his campaign to address and provide voters with a solution for one of Brazilians’ most pressing concerns: their corrupt government. The government’s recent scandal, dubbed “Operation Car Wash”, involved allegations involving the oil company Petrobras and bribery within the Worker’ Party and ultimately resulted in the imprisonment of Luiz Inacio Lula da Silva, the President during that the time. Desperate to escape this corrupt government, Bolsonaro’s supporters view his bold claims with stars in their eyes, yearning for radical, yet effective change. 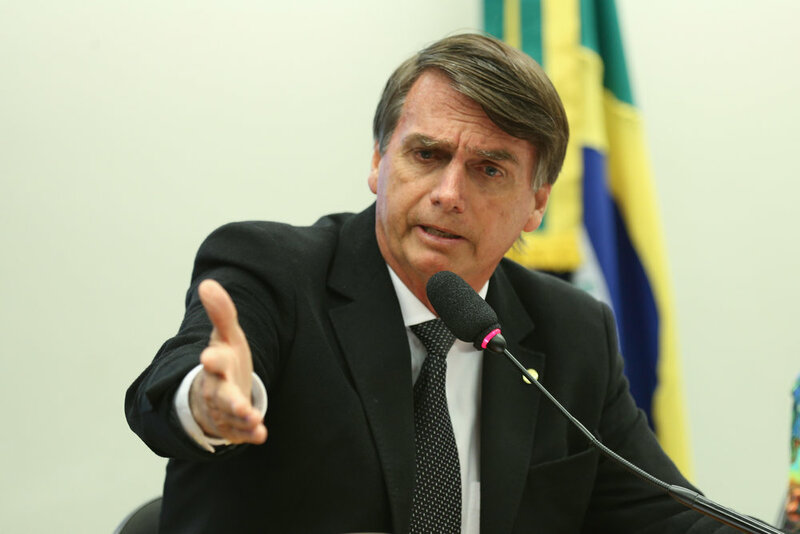 Bolsonaro has also taken an extremely controversial stance on environmental issues, especially concerning the future of the Amazon rainforest. He has given the UN an ultimatum, stating that Brazil will be pulling out of the Paris Agreement if they are not given “full sovereignty over rainforest management”. Along with these promises, Bolsonaro has claimed that his party will abolish the currently implemented environmental policies and regulations, arguing that they are counter-productive to the advancement of Brazil’s development. Given his stance on the Amazon, it is evident that Bolsonaro’s policies would result in exploitation of the rainforest for economic gain. Though controversial, it seems as though the campaign model that highlights the spread of right-wing values, blatant discrimination, and statements that entice shock value is highly successful in garnering the public’s attention, ultimately generating opinion and debate. In modern society’s current climate, the idea of nationalist regimes who value protectionism and regard other nations with contempt and suspicion has gained popularity in an effort to satiate political concerns, replacing fear with a love for one’s country. Throughout Bolsonaro’s campaign, he had also blatantly expressed his disdain for the media, declaring them as enemies to his campaign. This attempt to combat the mainly negative opinion of him spread by the liberal media, both in Brazil and the rest of the world is also seen in Trump’s campaign for President. By using the term “fake news”, popularized by Trump, Bolsonaro has managed to seemly discredit reputable news sources in Brazil. Although his claims against the media have been stated as if they were fact, a deeper look into his campaign reveals many untruths and false claims. It seems as though the creation of a common enemy in the media has become a popular trend for conservative politicians to promote, providing supporters with and outlet to direct their anger and frustrations due to their falling economic status. This erasure of popular media has resulted in the mass questioning of its credibility, of which, is directly mirrored in America with Trump’s vendetta against the media. Consequently, this creates a sense of distrust within the country, fostering the development of doubt and the rise of untruths. Although Bolsonaro is set to take office in January, it is clear that his election marks a significant shift within the governance and political atmosphere of Brazil. However, his election also raises concerns regarding the potential consequences regarding the political state of nations around the world, as they begin to use sensationalism to promote the shift towards nationalistic regimes.